A beautiful Monday to you all! Running helps different people in different ways. We do our best to make it part of our weekly routine, but sometimes it can get difficult if we are out there alone. Then we join a group of other runners and now we have a running buddy, support, and high fives! Now our motivation is there and accountability is much easier. 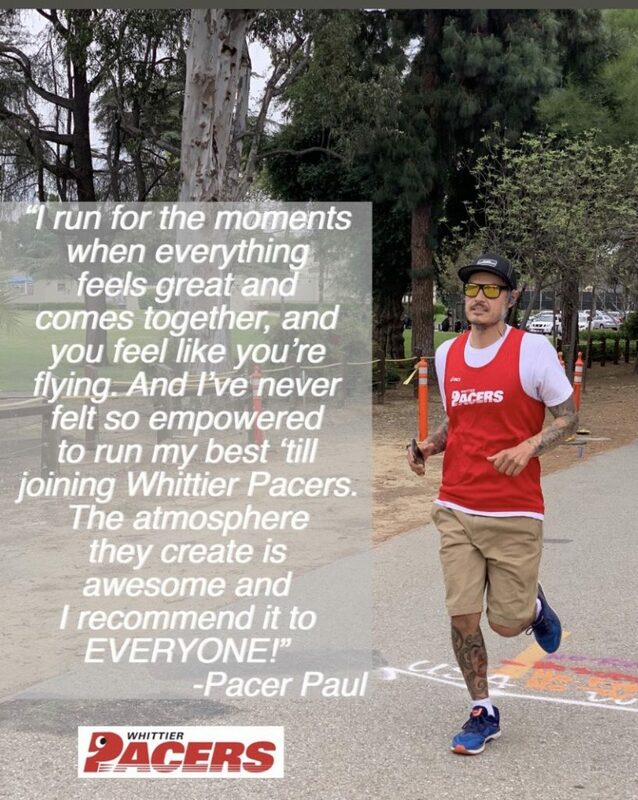 At Whittier Pacers you will find all of that and more. Here is what we will be doing this week at Palm Park 5736 El Rancho Dr, Whittier, CA. MONDAY- 6:30pm Join us and start the week off by getting some miles in. Feel free to join the Bridge to Half group for some speed work, or simply run your miles on the Greenway Trail. WEDNESDAY- 6:30pm Are you in the mood for hill repeats? Come on down and get a great workout and some amazing views from the top of the hill! Feel free to repeat the hill as many times as you’d like. SATURDAY- 7:00am Training for Mountains 2 Beach continues. 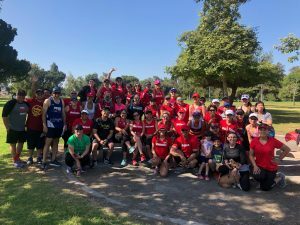 Training for a different race? Join us anyway. Running with a buddy, even if for only part of the way, makes a world of difference. We wish you a wonderful and productive week, and we hope to see you at Palm Park. See our meeting location below and look at the menus above and to the left for our next events and info on our training programs. We look forward to meeting you and helping you with your running goals.